North America Forum»Forum ›League of Angels ›General Discussion › Compensation - swap roses for what ? Compensation - swap roses for what ? 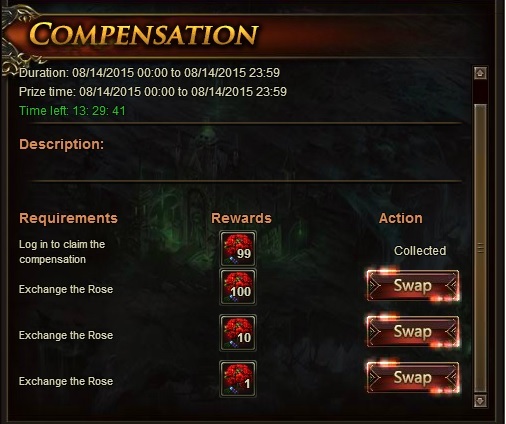 In Hot Events, Compensation you can swap something for Roses - but what ? 2019-4-21 12:59 GMT+8 , Processed in 0.049974 second(s), 42 queries .